Last year I pulled together a post discussing how I thought blockchain could (and was) be used within the publishing industry. (Publishing in the Age of Blockchain). Lost in the often exuberant hyperbole surrounding the potential of blockchain is the fact that blockchain is a ‘foundational’ technology similar to the internet protocol (TCP/IP) which governs all our web activities today. Thus, blockchain is still in its infancy with respect to the applications which will eventually be built on top of it. Setting your bitcoins aside, it is useful to think of block chain today as TCP/IP, circa 1980, and to moderate expectations accordingly. And while bitcoin gets much of the attention, there is more to the story. The Content Blockchain Project is initiating an open and decentralized blockchain ecosystem dedicated to media content that is operated and owned by the industry itself. It is the goal of the initiative to create a decentralized, global, digital infrastructure for the creative community to discover, register, navigate, offer, sell and license digital media content and otherwise exchange value over the network. The project addresses authors, photographers, journalists, musicians, artists, bloggers, publishers, content distributors, and all kinds of media companies, startups and creatives around the globe. 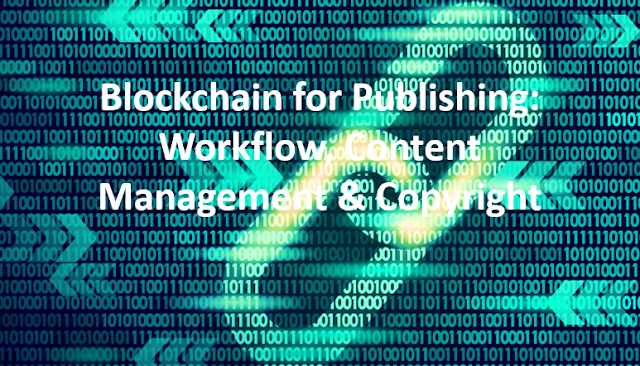 The Content Blockchain is an open and decentralized ecosystem to manage, identify, and interact with digital content and user licenses. 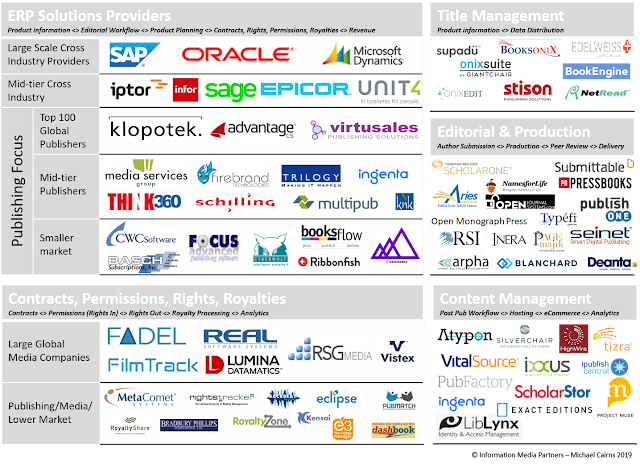 A core element is the International Standard Content Code, which is comparable to traditional identifiers from the media world such as ISBN, ISSN or ISRC is. The ISCC can be generated from the digital content such as images, text or videos free of charge and by anyone with the help of easy-to-use applications. The identifiers and related machine-readable license terms can be registered on a publicly accessible blockchain network. This is a very interesting initiative and as I said last year the use of blockchain with the identification and management of intellectual works looks like a very viable business case. After my post last year, I was approached by several organizations in the news and image management area seeking more discussion about how some of these initiatives could help support their business objectives. By way of example, the Associated Press announced they were working with Civil to help protect their content from misuse. Springer Nature, Taylor & Francis Group, Cambridge University Press, Welcome Trust and Karger have joined a pilot project to test blockchain technologies applications to peer review. Artifacts.Ai provides a platform enabling all transactions and linkages across all research artifacts. Published or pre-published. In any form, not just articles. Through its unique blockchain engine, designed specifically for academic and scientific research, it leverages the power of the community, while providing the authority, rigor, and validity that community sites and standard archives can’t provide. It is unconstrained while delivering a ledger of record. The Knowbella Platform is a researcher community for open source IP projects. The Scientists can start with existing IP and develop it into new directions and applications. The Platform will provide researchers IP, access to grant funding and lab equipment, manuscript development tools, preprint server, career and gig opportunities, and AnthroTokens rewards for collaborating. In turn, researchers can drive new discoveries, innovations, and their careers. Makeelevator is a blockchain-based protocol for communicating computational workflows and helps increase the speed, reproducibility, and accessibility of computational workflows. (Early - no link). Pluto Networks utilizes the properties of blockchain to manage a transparent system to record research activities and facilitate fair transactions between academics. While keeping the transparency and fairness of the whole system, privacy and copyrights are ensured when necessary. Blockchain also enables a reasonable compensating mechanism for academic activities, either in economic values or in academic reputation, or both (Video). Decentralized Science: Through disruptive distributed technologies such as Blockchain, we both enable decentralization and relieve the pains of traditional publication processes. This is accomplished by providing a reputation system of peer reviewers that will improve quality and ensure faster reviews and distribution, helping editors, reviewers and authors. Eureka is a scientific review and rating platform fueled by the Eureka token from Eureka Blockchain Solutions GmbH. Blockchain has the capacity to open science and make research findings immutable, transparent and decentralized. Eureka revolutionizes the scientific publishing and reviewing process by making it more efficient and fair using the Eureka token to compensate all parties involved. The Iris.ai products are process tools aimed specifically at researchers in the early phase of a new project. They are especially suitable for interdisciplinary projects where the combination of knowledge from across a range of research fields will be vital to the project’s success. The Iris.ai team is undertaking a new project (Project Aiur) to combine blockchain and artificial intelligence in support of scholarly workflow. EINSTEINIUM will enable the global community to efficiently and securely support scientific research, charitable and political causes, as well as education and IT. Scienceroot: will create an ecosystem where anyone in the scientific community around the globe has the ability to gather funding, interact, discuss research ideas, collaborate and in the end, publish their work through a more efficient, intuitive and transparent platform. Scienceroot will create their own cryptocurrency, Science Token, which can be exchanged instantly, regardless of the user’s location. The founders expect this will make it easier for both the global scientific and non-scientific community to get directly involved in promoting science by investing their money in a worthy cause. DEIP provides a common infrastructure that enables automate decision-making, reduce costs and achieves best use of funds by extracting valuable insights from grant-related data. DEIP is not just blockchain, it is a comprehensive infrastructure that includes off-chain data cluster, user interface framework – everything needed for the fast and efficient implementation of our solutions into any enterprise. Lumina Datamatics is launching a blockchain based solution to manage intellectual property rights and transactions named RPRightsChain (RPRC). According to the company using RRPC, authors, editors, and designers can now quickly and easily approve their image, send their rights request with one click and receive their licensing grant all without leaving the RRC platform. Scenarex is a Montreal-based start-up founded in 2015, born out of a passion for literature and technology. Using blockchain technology, our goal is to create flexible, user-friendly, non-restrictive solutions that will benefit the evolution and development of the publishing industry. A Book ICO allows authors to pre-sell copies of their upcoming works as readable tokens. By doing so, authors are able to activate and reward their early supporters, receive the funds needed to finish their works, and tap into the power of the blockchain. Katalysis is on a mission to democratize the value of online content - with blockchain technology and have deployed 'feather' which is a Workpress plugin to support the correct payment and attribution of content owners. Mediachain is a blockchain data solution for connecting applications to media and information about it. Mediachain is building an open, universal media library. Verisart enables the creation of secure digital certificates for art and collectibles and helps bind them to detailed provenance records. Tangentially related, Woolf University aims to be the first blockchain based university. Woolf will make it possible for any qualified academic to launch an accredited degree course and teach it. Woolf was started by academic colleagues seeking to provide students anywhere in the world with a one-to-one education in the Oxford tradition of personal tutorials. Read last years post for additional companies and initiatives.